Punchlines such as “the world’s thinnest” or “the world’s first” may sound great initially, but upon closer scrutiny, they can often prove to be damaging. Frequently coined by marketing departments whose main aim is to send out quick, simplistic and heroic messages, these statements are in fact product compromising. They can lead to shortcuts and compromises appearing in the way the products have to be designed, which can affect their quality. One such colossal example is something that I experienced very recently. 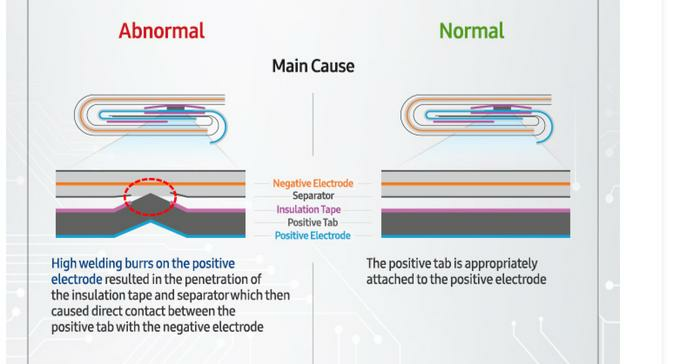 Samsung recently announced its findings of the recent #batterygate scandal surrounding its Galaxy Note7, revealing that the original battery used, referred as ‘Battery A’ by Samsung, had some deflecting issue in its electrodes. Now this issue could be put down to many reasons, but in wanting so desperately to be ‘first to market’, a follow-up ‘Battery B’ was used as a quick replacement before they could rectify the issue. The result was, well, #batterygate. The entire scandal was the result of 700 engineers being rushed to get a product to market ASAP, in order to “save face” and to ensure that there was minimal disruption to customers. With the announcement, which was the responsible thing to do, you would assume it would all be done and dusted. After all, this doesn’t affect anyone else other than Samsung and Samsung customers, right? Wrong. Freight forwarders are now scared to put any product with a lithium ion battery onto a plane, and processes are being scrutinized for the greater good of air safety. While this is all positive, the net result is that the whole supply chain ground to a halt or at least experienced some speed bumps. This is because we are all so connected and every process is geared to be so efficient, that the slightest change in regulatory requirements in one area affects everything, everywhere else. I am all for ensuring air safety, but every reputable manufacturer needs to fulfil their corporate responsibility to not make product-compromising decisions. They need to realise that the flow-on effects surpass that of their company. As insurance premiums rise, warehousing costs increase because of delays, and carriers become hesitant to carry certain goods, the net impact is always going to be borne by the end user in the form of higher prices. Tech manufacturers have a responsibility to provide non-compromising products, not just because it affects their own share price, but primarily because it affects all of us. Taking ports out of a laptop to make it more “Pro” or “thinner” adds to landfill and hurts customers’ pockets because they are then forced to buy more cables, dongles, and obsolete devices. It isn’t just about exploding batteries. At the end of the day, everyone feels the repercussions of making products just for the sake of one’s own share price because we are all connected.